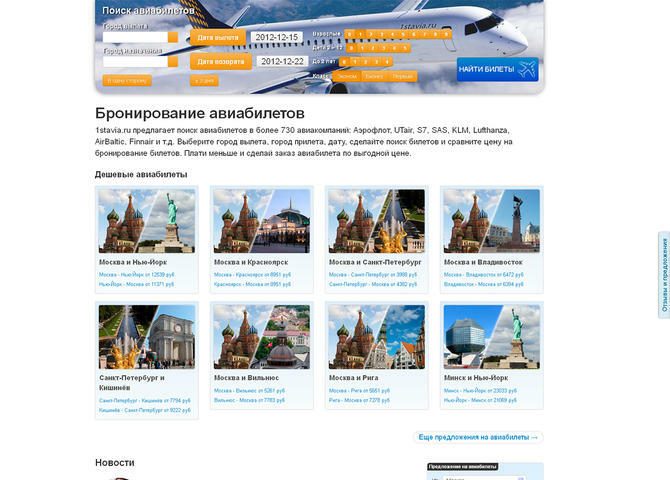 Search airline tickets over 730 companies. Cheap Airline Tickets. Site in Russian language.